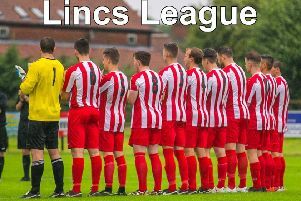 Spilsby Town Reserves will face Swineshead Institute’s second string in the Main Ridge Take Away Reserve Cup final tomorrow (Thursday). The match kicks off at 7pm at Boston Town’s DWB Stadium on Tattershall Road. Sharman Burgess Sports Cup, quarter-final: Skegness Town Res 2 Benington 1; BB Insure Willoughby Cup, quarter-finals: Friskney 1 Swineshead Inst 1 (aet - Friskney won 6-5 on pens); BB Insure Willoughby Cup, semi-final: Old Dons 0 Spilsby Town 4; Taylors Vauxhall Division Three: Spilsby Res 2 Spalding Harriers 1. Main Ridge Take Away Reserve Cup, final (KO 7pm): Spilsby Town Res v Swineshead Inst - at DWB Stadium, Boston (D. Sharples, M. Brader, J. Hudson, T. Basker). Sharman Burgess Sports Cup, semi-final (KO 2pm): Wyberton Res v Skegness Town Res (R. Holland); Taylors Vauxhall Division Three (KO 2.30pm): Spilsby Res v Old Dons Res (S. Beaumont), Wyberton A v Friskney Res (R. Larcombe).